Bruno Munari had been a futurist, and as part of a futurist exibition in the 1930s he produced a series of pioneering mobiles, which he called useless machines. Delicate, finely balanced contraptions I saw exhibited once. He also wrote and published a set of very detailed instructions and specifications on how to make them. 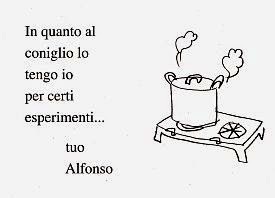 Now, in 1945, he designed a series of eight books for his son Alberto, who was five years old. 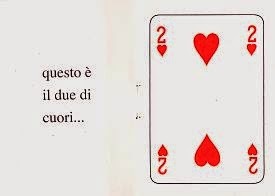 Libri animati, he called them. Animated books. Including this one. Il prestigiatore giallo. The Yellow Magician. …three. The balls have disappeared, and now in their place there’s a small pack of guards. Let’s look at them. 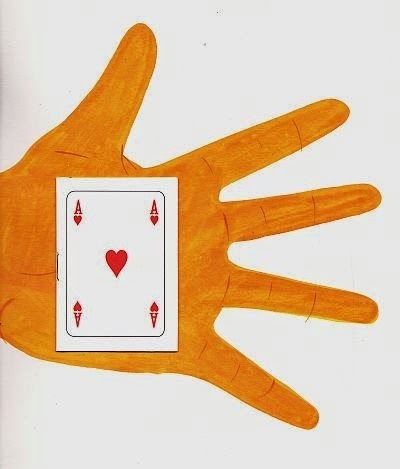 This is the ace of hearts. 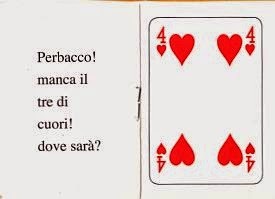 By Jove, the three of hearts is missing! Where could it be? 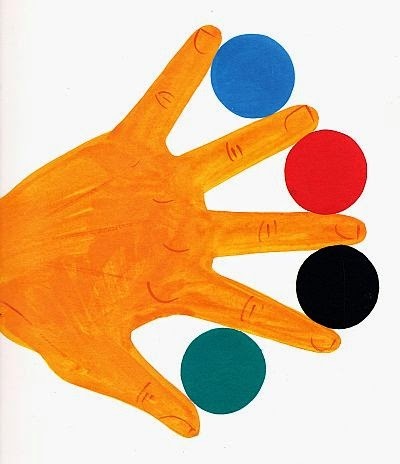 When I was growing up, I knew Munari him for his illustrations of Gianni Rodari’s books – including Fairy Tales Over the Phone and my favourite, The Book of Mistakes – as well as two books of his own: L’arte come mestiere (literally ‘art as a craft’, but changed in the English edition to Design as Art) and Disegnare un albero, ‘how to draw a tree’. I still have my copy of How to draw a tree. Ostensibly designed to help teachers help children to learn to draw trees, the book is really an extended meditation on the art of drawing, and how to avoid clichés in art. Even classroom art. I am very fond of it still, in spite of the fact that to this day I cannot draw trees very well, or anything else for that matter. 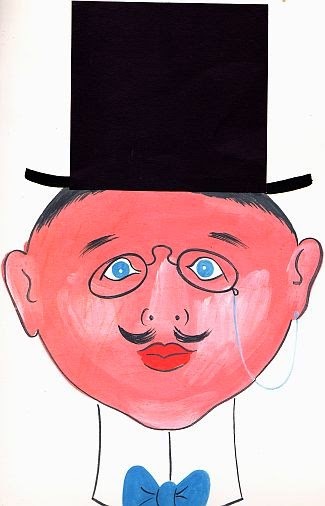 It may be under the top hat of that gentleman wearing glasses. 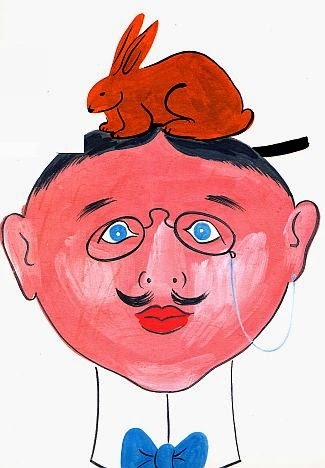 Excuse me, sir, would you mind taking off your hat? Thank you, but! How can it be! There is a rabbit here. 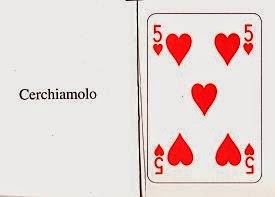 So where’s the three of hearts? He wrote this other book called Little White-Riding Hood, in which every page is white, and some of them are cut out to form shapes, but the last page is just blank, except for the line of text: ‘I had never seen that much snow before’. I’d like to get hold of it some day. Milan’s Fog is not too dissimilar: an illustrated book about invisible or concealed things. 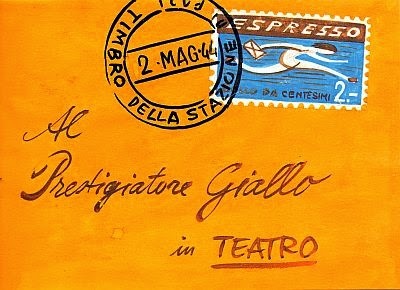 If you care to excuse me for a moment, I have just received by express post a letter from my friend Alfonso. I wonder what’s up with him. 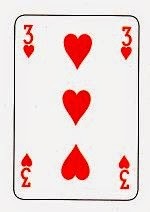 Dear Yellow Magician, I’m sending you the three of hearts that I found in one of my shoes. If you’re looking for the four coloured balls, look in the pockets of that barefoot man. But all that came later. 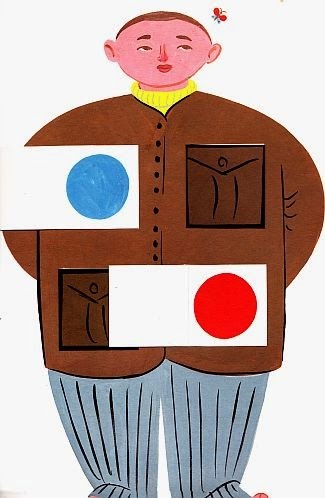 In 1945, when his son Alberto was five, Munari thought up animated books for children. I don’t know how novel that idea was. Pop-up books had existed for a number of centuries. Tunnel books since the 18th. The Yellow Magician is a lift-the-flap book, and those had been around as well, at least since Pat the Bunny (1940), probably earlier. In Italy, however, even discounting Fascist propaganda and those chilling rewritings of the story of Pinocchio, the state of the literature was appalling. 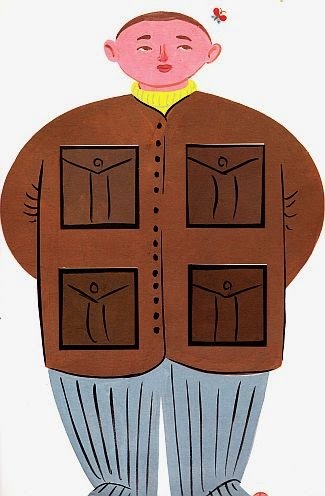 And so Munari made his own. Called up on the stage, the barefoot man pretends to be someone else. He concentrates on the flight of a butterfly, which he had brought to the theatre for this express purpose. But let’s look inside his pockets. There are those four balls, which the child will dutifully uncover one by one, lifting every flap until he or she is satisfied. The child knows the trick – the child is the trickster, and in that complicity lies the pleasure of such books. Yet the best ones, the ones that don’t resort to cliché, always leave open the possibility that the last pocket of the barefoot man may be empty; the chance, however slim, of a lack of resolution, or a leap of imagination. And that may just be why you lift every last one of those flaps every time. In a most unexpected turn of events, I was interviewed by the wonderful Kim Hill last Saturday. You can listen to the whole thing here and frankly I don't see why you wouldn't. Also, my column for issue 215 of Overland is now online.